MITTY HALL | 2018 FYO Champs! De La Salle Cheers on their cardboard canoe racing team. Each year the Campus Recreation Department holds the First Year Olympic Event that promotes dorm involvement and pride. Each of the first year halls compete in a variety of sports, games and activities to be crowned the champions. This tradition of competition dates back to 2008 and creates camaraderie through rivalry. Check out all the photo highlights on Flickr and a video highlight below! 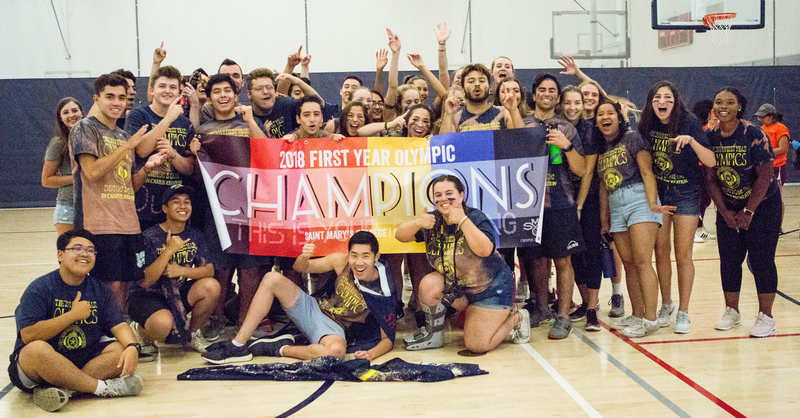 Mitty Hall was crowned the 2017 First Year Olympic Champions on Sept 10th.